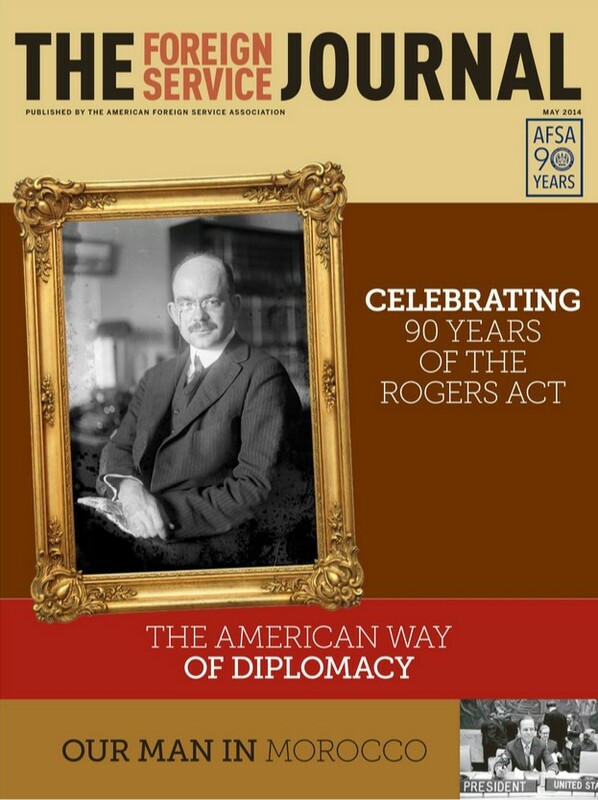 This month, we celebrate the 90th anniversary of the Foreign Service and the American Foreign Service Association. In his article, Foreign Service, Civil Service: How we Got to Where We Are, former FSO Harry Kopp looks at the delicate Foreign Service-Civil Service balance over time. Then, retired FSOs Jim Lamont and Larry Cohen take a close look at how the Foreign Service Act of 1924 came to be with In the Beginning: The Rogers Act of 1924. To conclude this month’s focus, we offer a selection of vignettes from AFSA members, active-duty and retired, on some of the best moments of their Foreign Service careers, followed by a timeline of highlights from AFSA’s history. In this month’s feature, The American Way of Diplomacy, Robert Hutchings addresses challenges U.S. foreign policy is facing, such as how the Foreign Service should deal with increased militarization. Elsewhere, Robert Hunter calls for Getting State and the Foreign Service Back in the Game, and Felicity O. Yost offers a fascinating account of her father’s tenure as Ambassador to Morocco during the Cold War. In his monthly column, AFSA President Robert J. Silverman defends nation-building as a foreign policy strategy. The Foreign Service Act of 1924, known as the Rogers Act, created the U.S. Foreign Service as we know it today. Here is the story of how it happened. Members of the U.S. Foreign Service share moments from their careers. How do we rescue U.S. foreign policy from creeping militarization? How can we resurrect diplomacy from the musty archives of the past? A diplomatic practitioner offers some answers. This account of Ambassador Charles Yost’s tenure in Morocco during the Cold War offers a window into his remarkable career and the texture of postwar diplomacy.